Perfect for the cozy country kitchen! Apron is lined on the back with a beautiful harvest batik fabric and a nice sized pocket on the front. 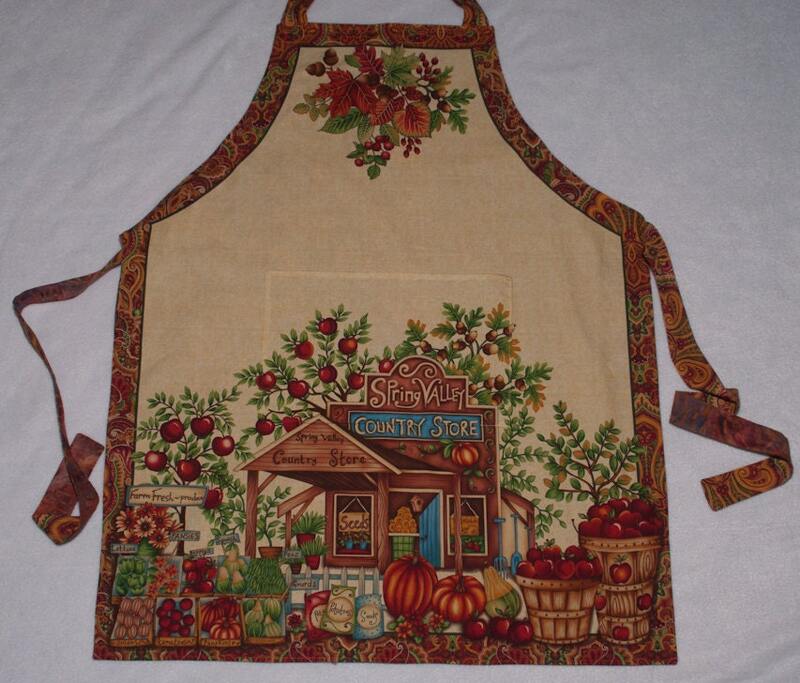 This apron features a scenic view of a traditional country store. Beige background with a red trim. Apron has a strap for your neck and ties around your waist for the perfect fit.